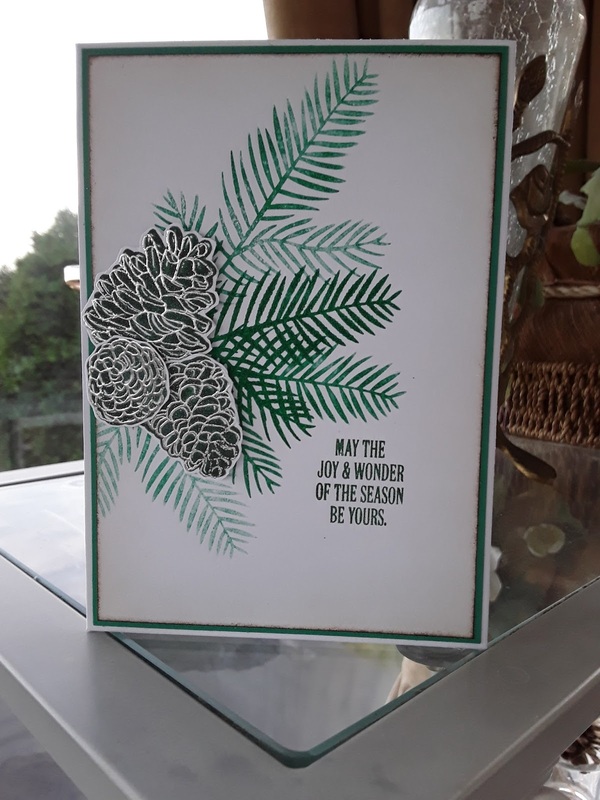 My stamp set of choice is Christmas Happiness and the pine branches have been stamped in Emerald Envy. The branches were stamped twice before re-inking as this I think gives the image a bit of depth. The cones were inked with Tranquil Tide and the detail added with silver embossing powder.